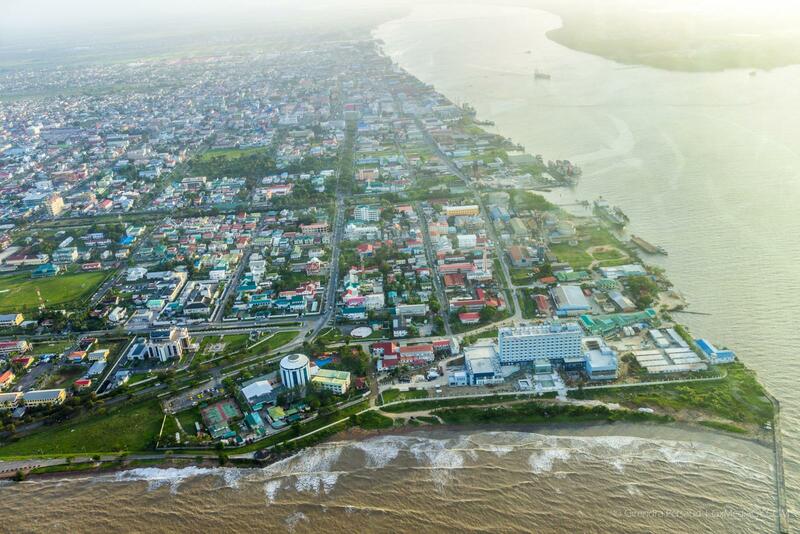 Georgetown, Guyana – (April 15, 2019) Minister of Citizenship, Mr. Winston Felix, has described a letter written by the Opposition’s Chief Whip and Member of Parliament, Ms. Gail Teixeira, titled “Full scale probe required of suspicious cases of foreigners seeking naturalisation and other events” and published in the April 11, 2019 edition of the Stabroek News as “spurious, baseless, untrue and without merit”. In an invited comment with the Ministry of the Presidency, Minister Felix made it clear that the Department of Citizenship, since 2015, has been conducting all of its functions above board and would have been following the law in all cases of registration and naturalisation. He said that the Government of the day is working with the same provisions which were in place under the previous administration. “It is very easy and simple for persons to allege impropriety in Government’s work, but some people who attempt to make these allegations find very flimsy and what I would describe as ‘airy-fairy’ reasons to attribute to what they have under suspicion. So I find the attempt to tarnish the Department really unbelievable and unimaginable, coming from the sources I see making these allegations. These are former people of Government, who held these very offices and did the work that I am doing. I think they probably need to revisit the laws of Guyana and what governs the Ministry before making the statements attributed to them,” the Minister said. “All I have to say to that is that the person who made the allegation, I am very surprised that they did not do… more in-depth research. To the person who has no knowledge on immigration issues, it would sound as though there is a big irregular practice. All that that means is that your child born out of Guyana could at any time, claim his parent’s citizenship. That’s all that it means. We do that within the Department and [at] the General Register Office (GRO),” he said. The Minister said that there is no provision in the Constitution, which requires such a person to wait one year to acquire a passport. “In my view, a Guyanese is entitled to a passport and once that child is registered as a Guyanese, that child can apply for a passport without offending any law in this country,” he noted. 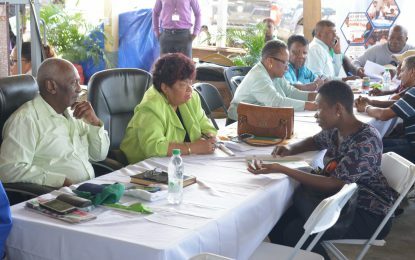 Responding to allegations that there are applicants who have only lived in Guyana for a year and therefore are not eligible for citizenship, Minister Felix said that this is not always the case. “Except for those exemptions referred to, a person who is married to a Guyanese, is entitled to the citizenship of the spouse. So if you are married today, I see no timeframe set out for the application of that person to become a Guyanese based on the spouse’s citizenship. Maybe that would come later on, but it is not present now and as such, if you are married to a Guyanese and you wish to be naturalised or registered, the process can start immediately after your marriage. There is no requirement at this time to wait. This very law is what the previous administration had been enforcing. It has not changed and I find it strange that they are now imputing improper motives in an area with which they also had been practitioners,” the Minister asserted. In addition, Minister Felix reminded that any person who is seeking naturalisation is given the steps and a list of required documents which must be presented with the application. The applicant must also publish public advertisements at his or her own cost. With respect to the allegations of Government officials’ involvement in the smuggling of Haitians, the Minister said that he had dealt extensively with this issue in the past and had even briefed the Parliamentary Committee with oversight for Foreign Relations, providing the Opposition with answers to their questions. He noted that for them to raise this issue again shows that there is a desire to create falsehoods and spread misinformation. “Any breach of air site security ought to be raised by the Airport authorities. I find it strange that this broad statement is made on a matter of national security. I find it also very disingenuous for them to say Government Ministers and officials go airside to collect Haitians. Who are the government officials? Say so and say it with proof and that is where these mindless and baseless allegations fall. Let them produce the facts,” he stated. In relation to birth certificates being given out at “PNC green events” Minister Felix said that the Member of Parliament should come forward with proof, since the Department has only been conducting outreaches mainly in Regions 1, 7, 9 and 10 and recently begun in Region 4, in keeping with its mandate of 100 per cent birth registrations. This is yet another incident of abstract allegations and no proof, Minister Felix said. He further noted that Ms. Teixeira’s uttering of such baseless, inaccurate and malicious statements demonstrates the length to which the Opposition and its members would go to spread falsehoods and to cast doubt to attempt to diminish the confidence of the populace in the coalition Government. However, he said, the Government remains committed in its mission of providing a better life for the Guyanese people and will not be distracted by persons like Ms. Teixeira who are bent on creating mischief and distractions, he said.